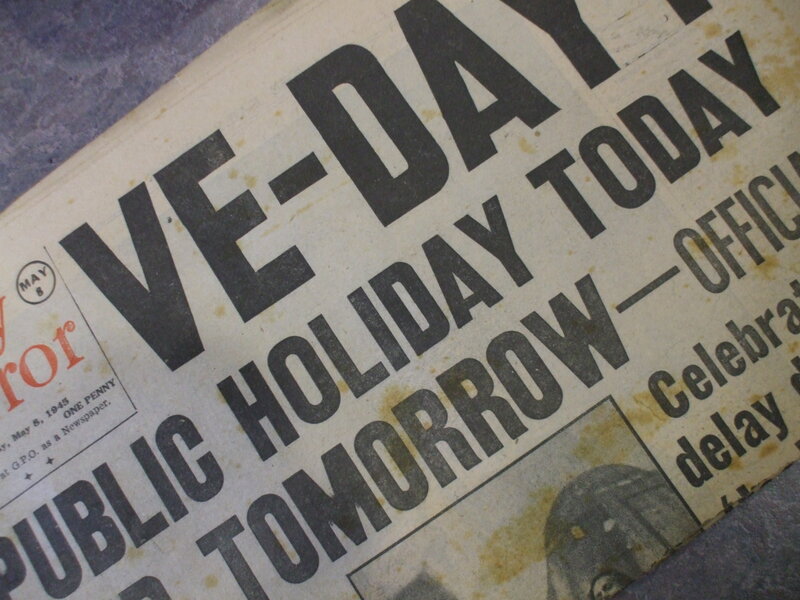 VE Day spread, Daily Mirror. 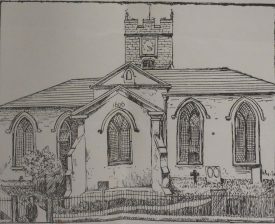 All Saints before it was rebuilt. From the Nuneaton Chronicle Supplement of May 30th 1890. So this was found at Princes Drive recycling centre, Leamington Spa by a member of the team who work there, along with some other old newspapers. Just recently, we’ve conducted a project with Orbit Heart of England, that has seen topics appear on the website on all manner of subjects, including memories of being evacuated from Birmingham to Stratford during World War Two. Now, in one week on the project, we used prompts to provoke memories, add a hook to stories… and what better way to do this than via newspapers? As this topic shows, VE Day memories relevant to the county (both old and new) are still waiting to be captured, and prompts can be useful. It’s not just in this respect that newspapers can be helpful. When I’m not working, every now and again you can find me flicking through copies of old newspapers, to add colour to articles (what a hobby!). In the instance of the VE Day paper, you can see how it might be useful in adding a spot of context to the article about Nuneaton welcoming Field Marshall Viscount Montgomery – the centre spread on the paper positions Montgomery as key to the war effort, re-emphasising his pre-eminent position in the historical narrative.. Adding colour can be seen in features such as that discussing the Rebuilding of All Saints Church, Bedworth. The contemporary thoughts add a context and insight that mere reporting of the facts doesn’t necessarily give. Yet what has proved particularly interesting to me are the letters pages. What these show is that who controls the discourse can often give a very different perception of the same action. Joseph Underhill, the Pailton Miser exemplifies this point. Read the newspaper report on the inquest into Underhill’s death and a Mrs. Robins has a small but unfortunate footnote in history, publicly chastised for allowing Underhill to live in squalor. Read on into later editions however, and an alternative view of Mrs. Robins is presented through the letters pages. Who’s right? Well to an extent that’s not what interests me. What fascinates me is the to-ing and fro-ing of viewpoints, and an attempt to position the ‘truth’. We see something similar when Holy Trinity Church opens in Rugby. Here, the conversation continues over a number of editions. Although the thrust of the article was always going to be about the church itself, as I read the letters pages I got drawn into the cut and thrust of one Matthew Lowe trying to defend his reputation. We see playing out a cultural history, a struggle for legitimacy, and a struggle within the confines of what was deemed both acceptable and insulting behaviour, according to the time. So don’t ignore the letters pages of newspapers, for much can be gleaned about people who otherwise struggle for a voice when ‘official’ histories are written. And don’t ignore newspapers as a whole, or what’s seemingly chip wrapping paper. The past, after all, can lurk in the most surprising places… including your local recycling centre. Many local papers for Warwickshire can be found at the Warwickshire County Record Office. Do please visit, and view them. If you have a Warwickshire story to tell, perhaps you might like to see if any colour can be gained from the Nuneaton Chronicle, Rugby Advertiser, Leamington Courier or more besides! One of the best things ever to happen for family and local historians has been the digitisation by the British Library of millions of pages of local and national newspapers. This remarkable collection, the British Newspaper Archive, is now available online to anyone who takes out a monthly or yearly subscription and I am told that access to the Archive forms part of an annual subscription to the Ancestry website. By far the most valuable function of the BNA is that it is searchable and extracts can be downloaded and printed either in original form or as a transcript. Setting aside the rather eccentric transcripts that are sometimes encountered due to a combination of the OCR software and faded/poorly printed originals, the British Newspaper Archive is an incredible resource that has revolutionised the way that many of us research local history. Many of the local Warwickshire newspapers are now on the BNA and I share Ben’s enthusiasm for newspapers as a vital resource but I have to warn you that you will be continually side-tracked by finding interesting stories that you were never aware of before. I must agree with everything that has been said regarding the recent accessibility of local and national newspapers. With digitisation came the first opportunity to search for certain events, names and places. Although the indexing transcripts can be odd, we have now a wonderful resource that will bring so much more to family and local history. The information found can often change or add to what you had been told. This technology will prove to give renewed life to many personalities long forgotten and can give a totally different understanding to local events. What a fantastic tool this is,for the family and local historian alike. It begs the question also, whatever happened to the local journalist ? As Alan has said you will get side tracked into all assorts of places and events. Many of our local newspapers can take us back to the end of the eighteenth century and onwards. My advice would be, don’t just read local history books, read the contemporary accounts and find out so much more. I am really delighted to say that one of the latest local newspapers to be added by FindMypast from the British Newspaper Archive is the Warwick & Warwickshire Advertiser. This is really fantastic news for me and so many family and local historians. By entering our key search word and by determining the date sought, within seconds we can find all sorts of references which then can be examined in full. Here at the Record Office we can then use the microfilm for the year concerned and quickly get to the article and then print this off. What a difference from my slow quests in the past ! I am afraid many times I have just given up my quest through tired eyes and a stiff neck. Not anymore. Just think what awaits us. 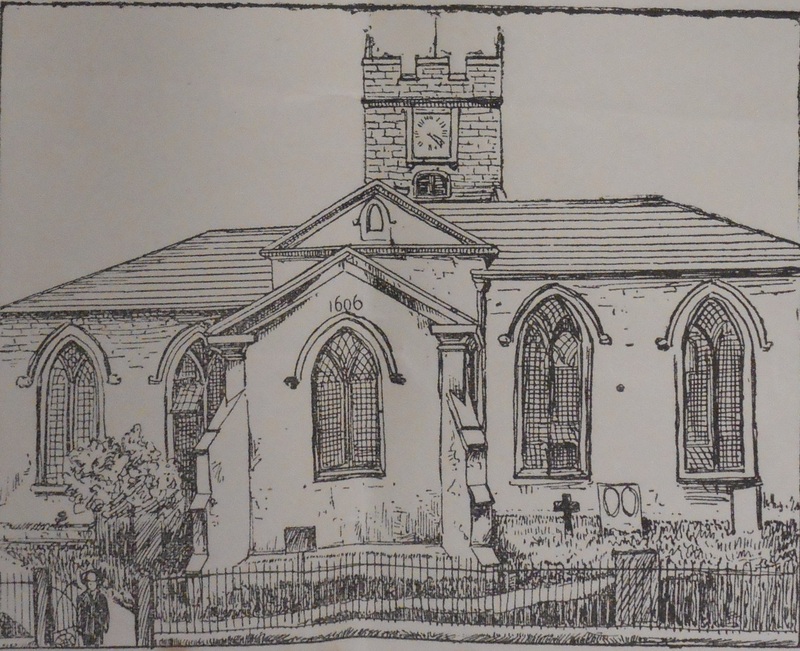 I am researching an incident at Burton Dassett army camp in Aug 1946 when a soldier – Pte Mark Feld – was murdered by an Army Military Policeman, Sgt Patrick Frances Lyons. Does anyone know which newspapers of the time would have reported this and the trial at Warwick Assizes, and can they direct me to the issues so i can consult the newspaper reports at the British Library newspapers library? Or any other sources in Warwick archives?? Hi Martin, I’d try the Warwick Advertiser and Leamington Courier as obvious local papers to consult. Potentially the Stratford Herald too, and even Rugby Advertiser.